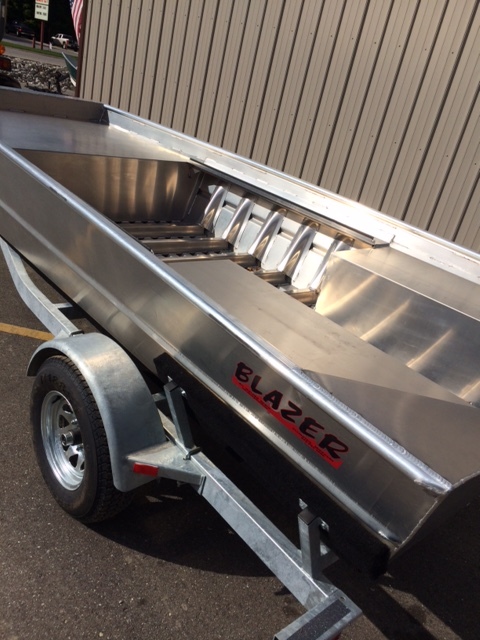 Tracy's Boats is now a dealer for Blazer Jet Boats! Blazer Commercial Boat Manufacturing was launched in October of 1997. 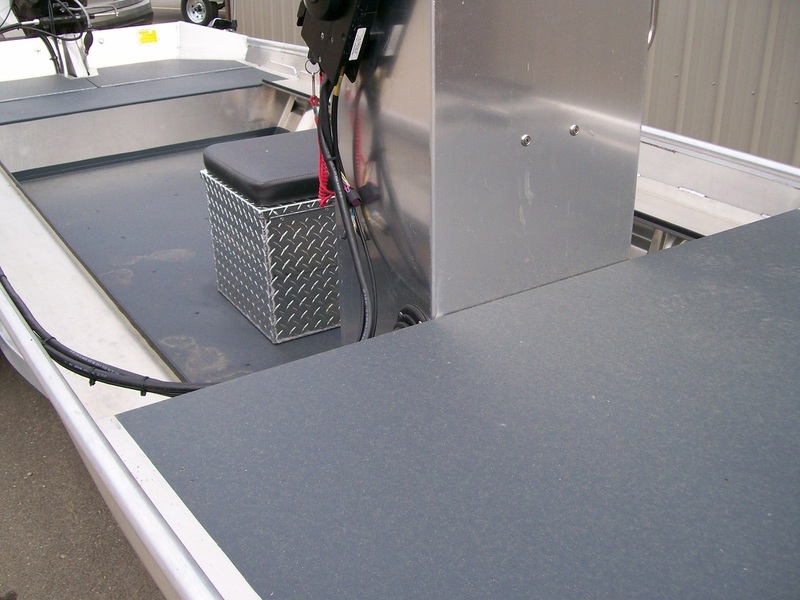 Innovative boat designs and options are continually being created. 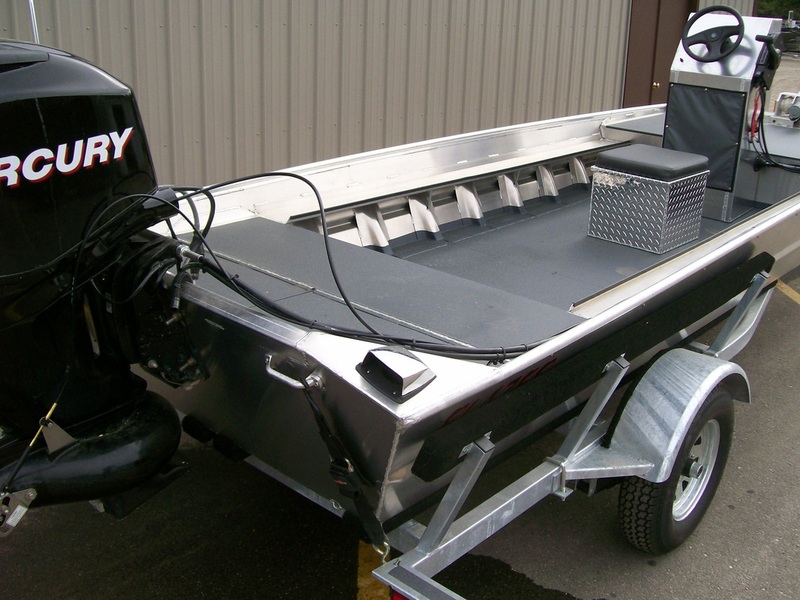 All boats are custom built to the customer's specifications. 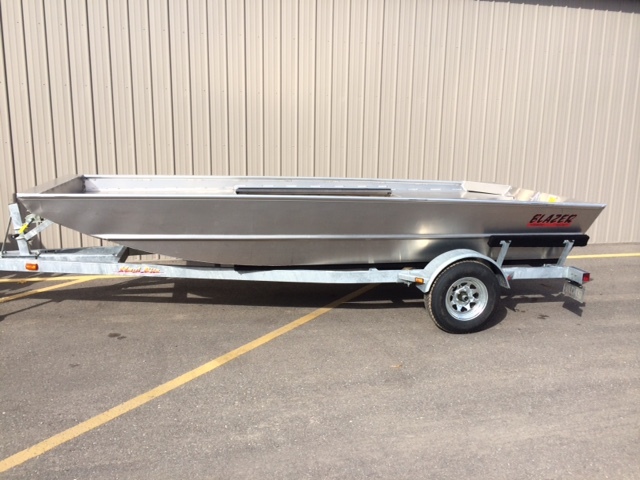 They offer several different sizes of boats, ranging from a 10’x 36” boat up to a 24’ x 70” boat. 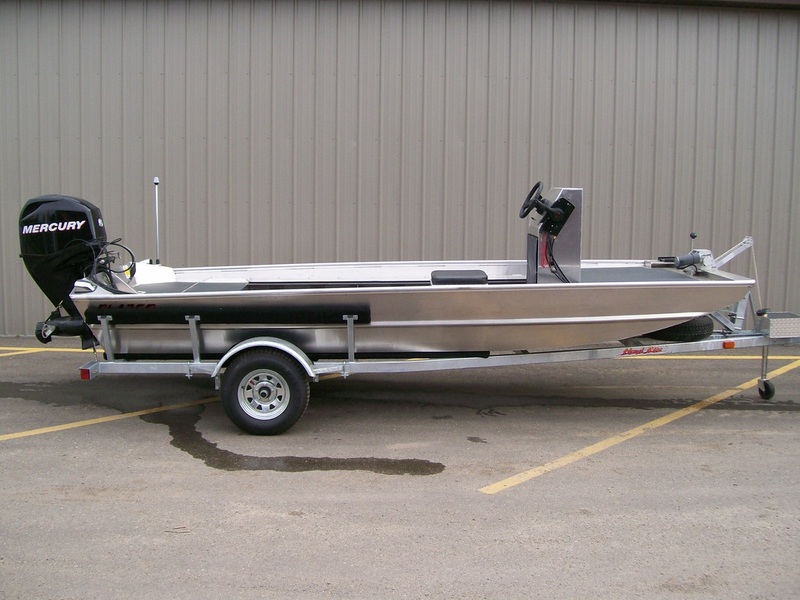 Boats that have up to a 52” bottom have the choice of being made with .080, .100 or .125 gauge aluminum. The ribs in these boats are placed on 14” centers. 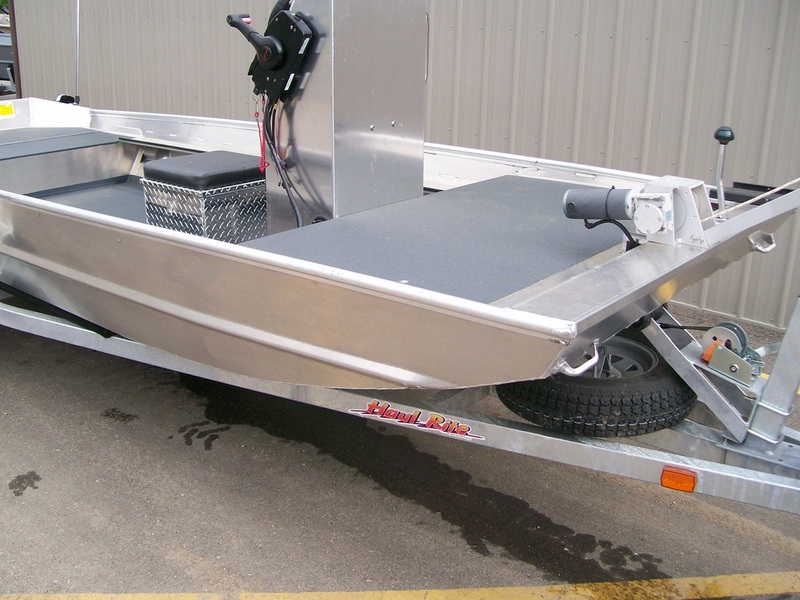 Boats that are 56” wide and larger are made with .100 or .125 gauge aluminum. The ribs in these boats are placed on 12” centers. The standard options on the Blazer Boats are a 40” deck or bow seat, your choice of 1 or 2 cross-seats, and 16”, 20" or 22” treated wood filled transom. 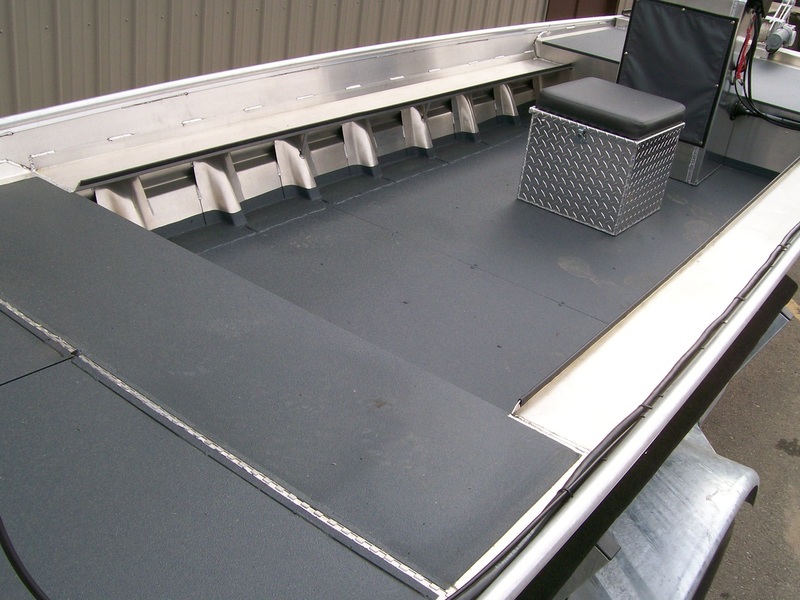 They offer other options such as live wells, dry storage boxes, rear decks, deck extensions, all aluminum transoms, consoles, and diamond plate trim. They build different sizes of these options, and also custom build options that are not listed. 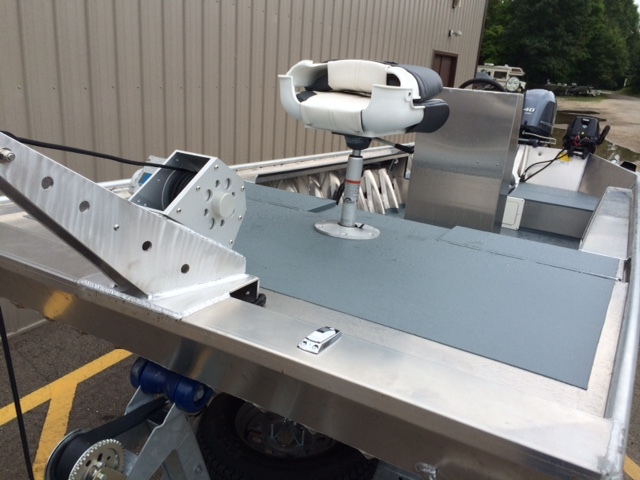 They also offer a 27” transom, aluminum or wood. This is a 1 piece transom, not an add on extension. The boats can be left unpainted, painted inside only, painted outside only or painted inside and out. 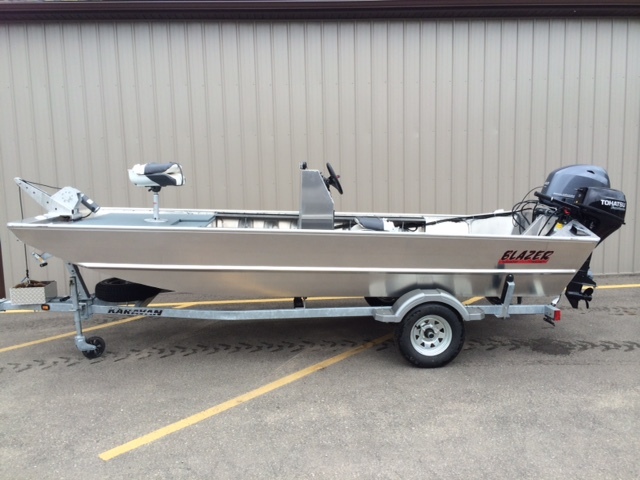 Please feel free to give us a call or send us an e-mail if you have any questions concerning our new jet boats.